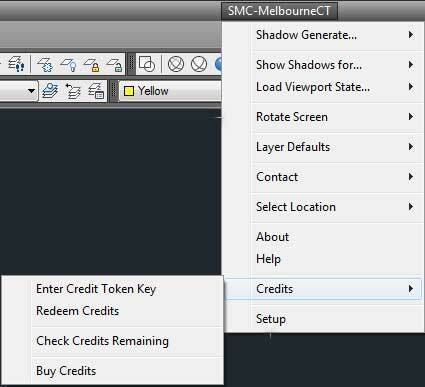 Once you have installed Shadow Multi Cast CT in AutoCAD, you will need to enter your Credit Token key and redeem a credit to use past the software. When Entering the Key, make sure there are no spaces at the start or end of the number. The Credit Token is now set. A webpage should open to redeem Credits. 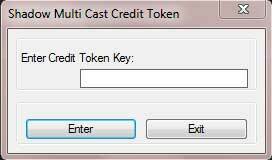 Enter your Credit Token Key (the same one you used inside AutoCAD), then select how many Credits you would like to Redeem. I recommend only redeeming 1 credit at a time so you don't waste any. You can always redeem again the next day if you need to. Shadow Multi Cast CT is now ready to use inside AutoCAD.